Neil Lacheur joined QuadReal as the Senior Vice President, Customer Experience in February 2017 and is responsible for the company’s overall customer service strategy, with an overarching objective to enhance a customer-centric culture into all facets of the organization. 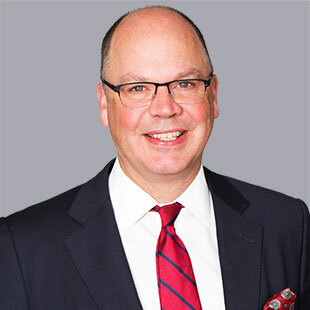 Prior to QuadReal, Neil was Vice President, Property Management at Bentall Kennedy with responsibility for management of 16 million square feet of office and industrial property across Toronto and Ottawa. He was also a Property Director at Manulife Financial and Founder & Vice President, Real Estate for Elevator News Network (Captivate). Neil holds a degree in Economics from The University of Victoria and is a LEED-GA. He is currently Past Chair of BOMA Toronto, sits on the Board of BOMA Canada, and chairs its Governance Committee. The opportunity to contribute to the establishment of a vital, dynamic organization with amazing colleagues inspires Neil every day.